A/B testing is a method in which different variations of a webpage or app exist and are shown to different users with the purpose of evaluating which one will perform better (Optipedia). With A/B testing, an example of a variation could be a change in color or mapping of an item. Better performance is defined in regard to a given task. More often than not, this task is with the intent of getting users to click on some type of call to action. This can be in the form of purchasing an item, signing up for a newsletter, simply clicking on an intended location, or many other options. There are a few ethical concerns that come into play with A/B testing. For example, users are often unaware of the fact that they are participating in these large-scale studies. In 2012, Facebook conducted a study on almost 700,000 users in which they showed the newsfeed of half of the participants “positive” posts for a week and the other half “negative” posts for a week. This resulted in positive newsfeed users posting positive words and negative newsfeed users posting negative words (McNeal, 2014). The purpose of this study was ultimately to examine if the emotions of one user would be affected by the emotions of another. Facebook later published their findings and underwent scrutiny for unethical research practices. This study in particular can be deemed unethical due to lack of informed consent and potential emotional impact. Additionally, in 2013 and 2014, OkCupid conducted three experiments on their users with questionable ethical research approaches. A description of all three can be found here. However, the final experiment was significantly more controversial than the others. OkCupid matches users by assigning a rating percentage, which informs users on whether or not they are compatible. For their experiment, they attempted to examine the likelihood of users conversing if they were shown a higher match rate (e.g. 90%) verses their actual match rate which was much lower (e.g. 30%). Their hypothesis was that the myth of compatibility will be just as strong as the truth, which turned out to be true. Users that were shown a higher match rate were more likely to converse, even though it was a false rating. This experiment may also be deemed unethical due to lack of informed consent, manipulation, and wasting participants time. The findings from the OkCupid studies were later published and also under went scrutiny. However, one of the co-founders and data scientists responded by stating “if you use the internet, you’re the subject of hundreds of given experiments at any given time, on every website. That’s how websites work.” This response elicited rage and anger by many users, blogs, and media outlets. It also left the impression that large tech companies do not value their users or see ethical issues, simply because “everyone does it” (Kolowich, 2014). Most internet services use tools to monitor user activity, length of time of time on a page, and click rates (Farrell, 2017). 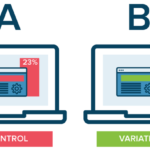 In addition to those metrics, A/B testing can be an excellent method for researchers to determine the effects of different variations of pages. However, organizations should be more transparent about testing, even if it may seem harmless. In these examples, both companies lacked informed consent and could have potentially impacted users’ psychological states. With OkCupid, they even falsified match rating, which in turn manipulated their users. 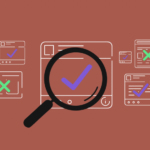 By simply alerting users on landing pages that they may be subject to A/B testing, many of these ethical issues would be addressed.